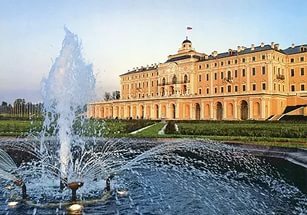 Peter the Great planned the Constantine Palace and park ensemble in Strelna as a diplomatic «window on Europe.» It would take three centuries to fulfill the emperor’s dream. 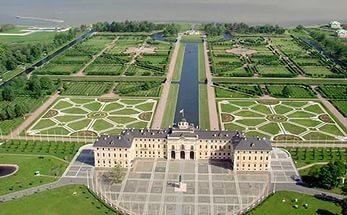 This summer, from July 15 through July 17, here, just 15 kilometers from St. Petersburg on the shores of the Gulf of Finland, the Palace of Congresses state complex will host the G8 summit. G8 summits are held every year in one of the member countries. The country hosting the summit chairs the group throughout the calendar year. That country organizes the summit, meetings of ministers, experts and working meetings, creates a schedule and coordinates day-to-day operations. Russia took over chairmanship of the G8 on January 1, 2006. The G8’s history dates back to 1975, when the leaders of six countries first met. The original six were the United States, Japan, France, Great Britain, the Federal Republic of Germany and Italy. Canada joined the group a year Later and Russia became the eighth member in 1997. The G8 was established mainly to help resolve current world problems. This year efforts will be directed toward ensuring global energy security, furthering the fight against infectious diseases and improving education. All of these problems are extremely pressing. Not only economic growth, but living standards depend on the smooth and effective functioning of the international energy complex. It is energy that gives people access to the advantages of civilization. Recent events on world energy markets have brought the issue of securing sources of energy to the fore. The participating nations are all gravely concerned about rapidly rising oil and gas prices, interruptions in the supply of energy resources as a result of natural disasters or terrorist acts, and tension on the oil market. Issues of environmental safety connected with energy exploration are of equal concern. The second problem to be discussed at the summit is the fight against infectious diseases. One out of every three deaths in the world today is a result of infectious disease. There are social causes such as migration, the unification of certain countries and civil unrest; but there are also causes rooted in the health system, such as the appearance of new medical devices, widespread use of immunodepressants and antibiotics. The G8 created the Global Fund to Fight AIDS, ТВ and Malaria, continues to promote a program to eliminate polio, and is also working to provide poor and developing countries with access to good, inexpensive medical treatment. Education is the third topic of discussion at this year’s summit. Russian experts believe that the quality and international comparability of professional skills and qualifications are key factors to developing the world education system. One priority of the G8 is to advance education in developing nations under the aegis of the Education for All program initiated in 2000. The program is aimed at providing equal access to the education system for all people no matter where they live, what their gender, ethnic or social background. The program intends to achieve universal basic education by the year 2015. The city of St. Petersburg hopes that the solutions reached at the Palace of Congresses in July will be another step in the world community’s ascent toward peace and prosperity.